Beat This Caption Contest 139 Winner – Caption Contest Funny Clever Witty Enter Today! Look, it snaps back just like a rubber band! 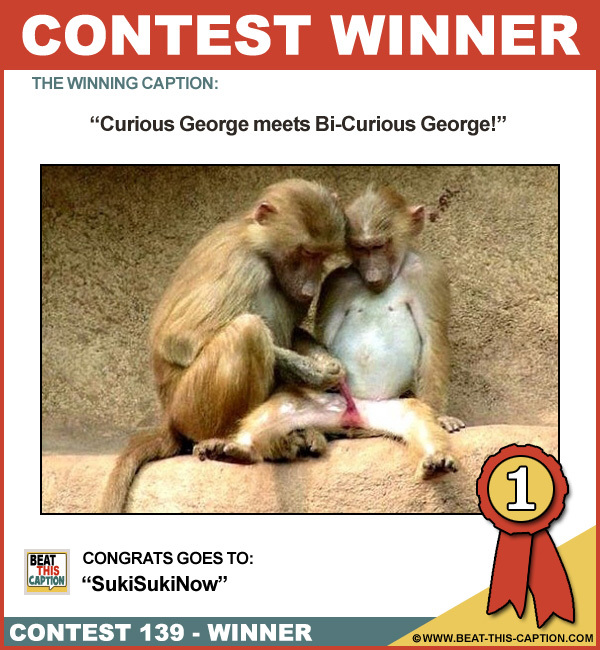 Curious George meets Bi-Curious George! Great Caption! Pull up a Stool, eat a Bi-nana! You WIN! Yup, it takes two hands to handle a whopper! There – you tug it hard enough, and it goes red! It’s kind of like holding a banana! This flea is piggy backing for the last time! Its only gay if you like it! Hey! Why is yours red?